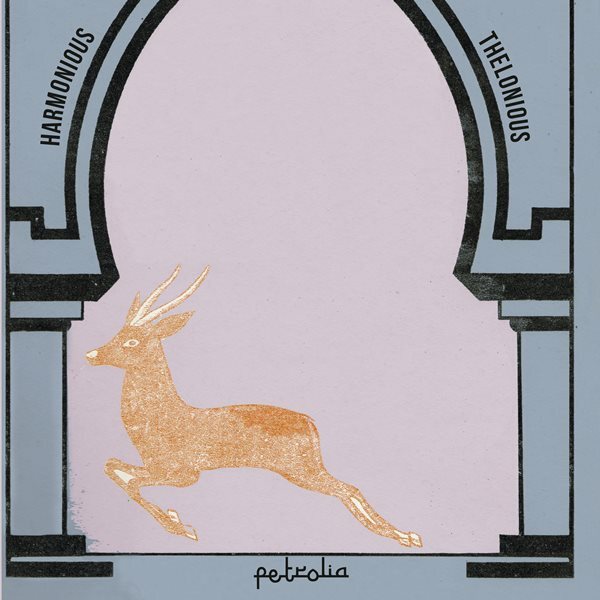 "Since 2008 Düsseldorf based producer and live wizard Stefan Schwander deeply concentrates on his always evolving electronic venture named Harmonious Thelonious. It besprinkles the world with fractional musical structures in the spirits of American minimal music, in order to immingle them with African rhythm patterns. Exceptional hypnotic opiates, enlarged with twisted harmonies and tricky rhythm archetypes. All heavy danceable! 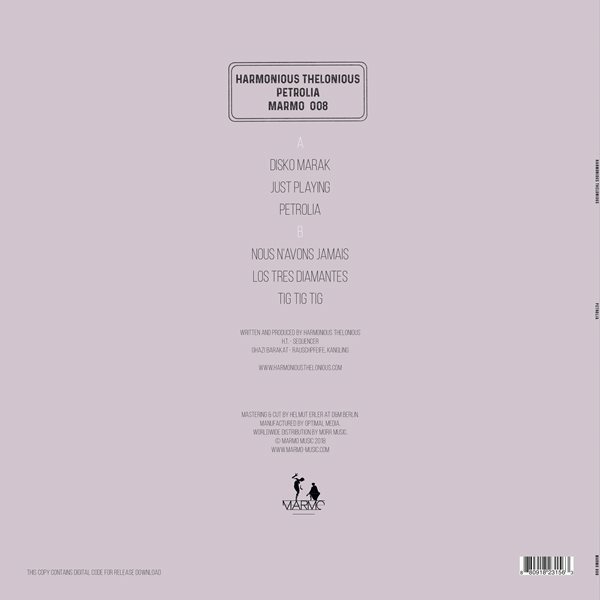 After five magnetic albums for labels like Emotional Response and his old home base Italic as well as a highly acclaimed string of EPs for in-demand platforms like Asafa, Diskant, Disk, Kontra-Muzik, Meakusma, The Trilogy Tapes or Versatile Records, he now produced a heavy arresting “Petrolia” LP for Marmo Music - a label that is not new to Harmonious Thelonious. Already on the label’s second release Tru West: “The DOWC part 2” his “Sunset Liturgy” fingerprints are audible with a moving remix. Now he delivers six epic tunes that only partly dance the familiar Harmonious Thelonious dance. There are deeply traces from Africa and Arabia. There is the polyrhythmic witchery that makes his music special. But in contrast his new tunes are more mental then his former ones. They have a menacing industrial feel but yet continue to be enlarged with the enchanting spirits of the land of the Sahara. Furthermore, there is a slight manic touch arising from nervous electronic and foremost organic melodies. 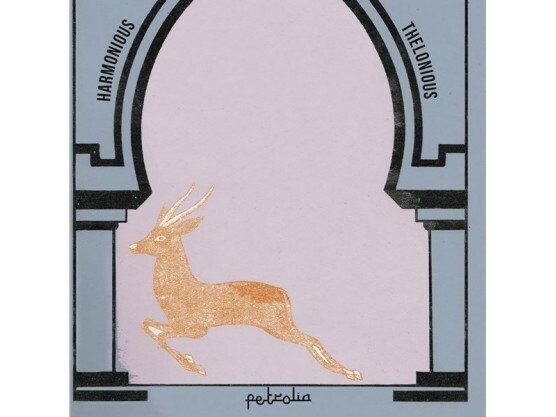 The live played jittery is coming from the Berlin based experimental musician Ghazi Barakat, also known under monikers like Pharoah Chromium or Crème de Hassan for mind shredding ambient, drone, experimental, noise, industrial, free jazz and free improvisation music from beyond. 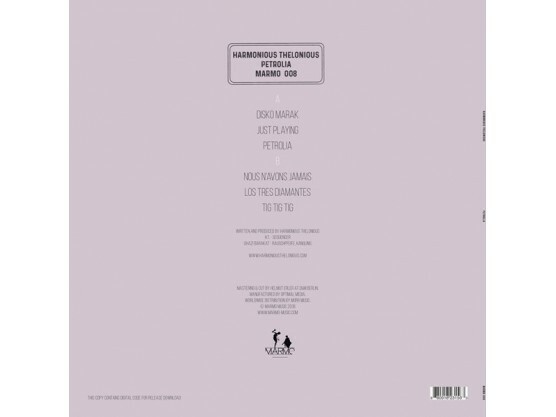 For Harmonious Thelonious Barakat, who also produced together with Marmo Music artist Gunther Schickert the collaboration album “OXTLR” in 2014, tuned his wind instruments Rauschpfeife and Kangling elflock-stricken the Master Musicians of Jajouka way. And instead of giving them a prominent lead position, Schwander deeply implements his tones into his propulsive creations to evoke a modern rhythmic meltdown of Occident versus Orient spheres that exhale a deeply absorbing soul. A record, who’s psychedelic energy fits perfect into the Marmo Music cosmos – a world where the progressiveness of the 70ties continues to live in the current to disband all white bread musical norms for the energy of music without classes. Dancers of the world, unite!"